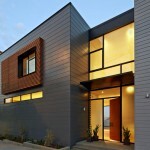 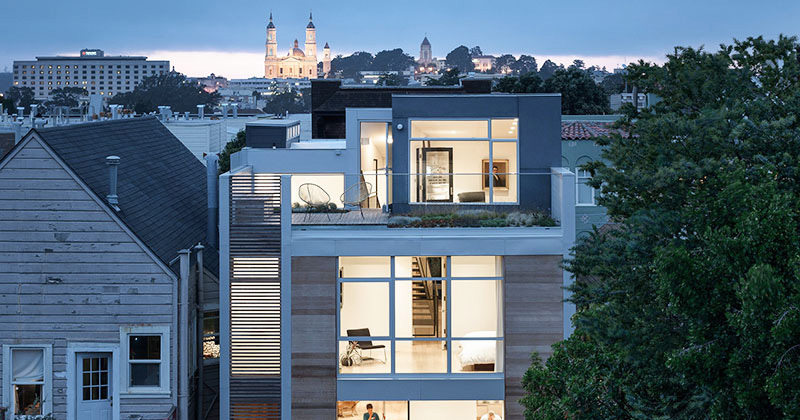 Feldman Architecture have designed a house in San Francisco, California, for a couple with three children. 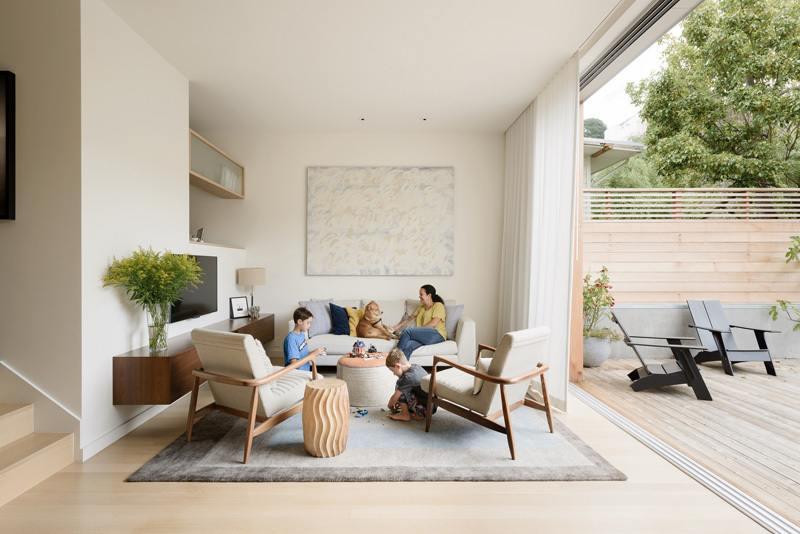 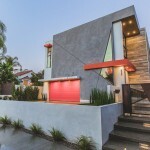 The multi-level home has an open floor plan that merges the kitchen and dining areas, while an atrium lets the light through to the various internal spaces. 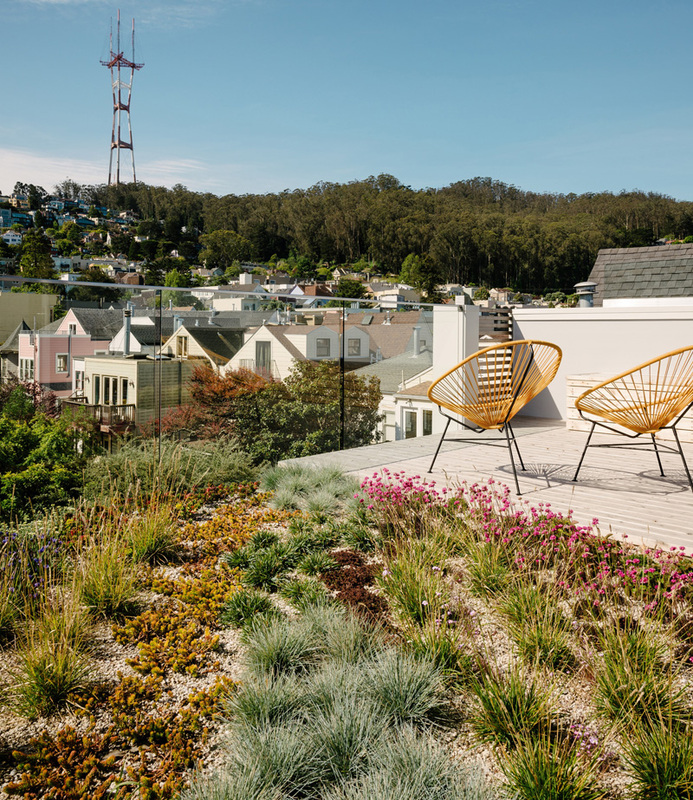 A small green roof adds some life to the top floor of the home, which also offers views of Twin Peaks and Mount Sutro. 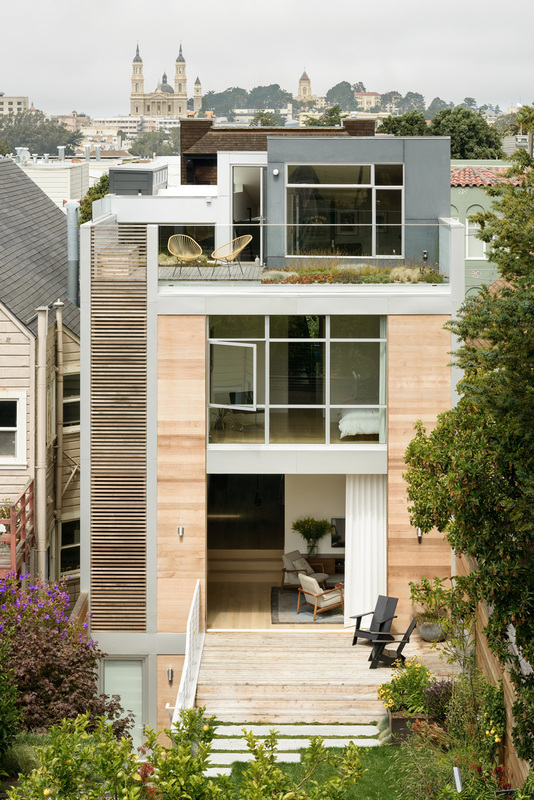 The living room has a large wall that opens up to the backyard, ideal for indoor/outdoor living. 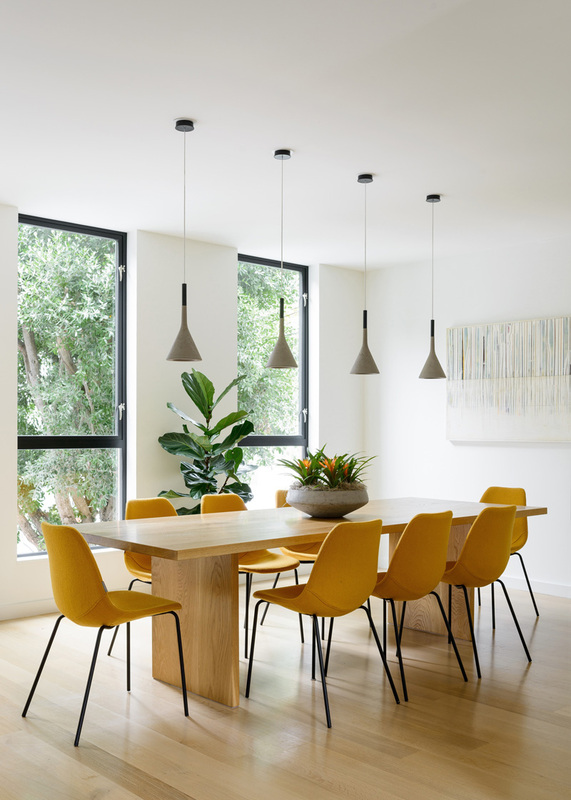 Pops of yellow in the dining room keep things playful. 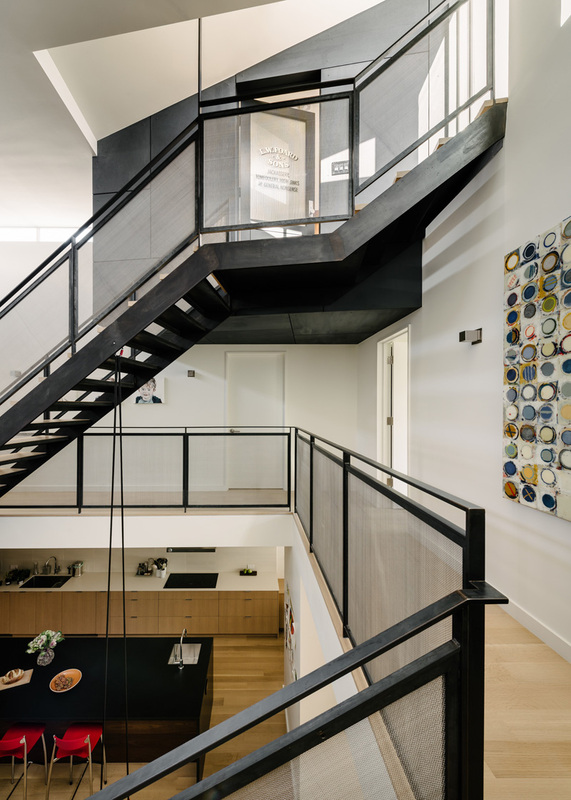 At the core of the home, a three-story atrium, ringed with a spiraling steel stairway, provides the boys room to play within earshot of their parents. 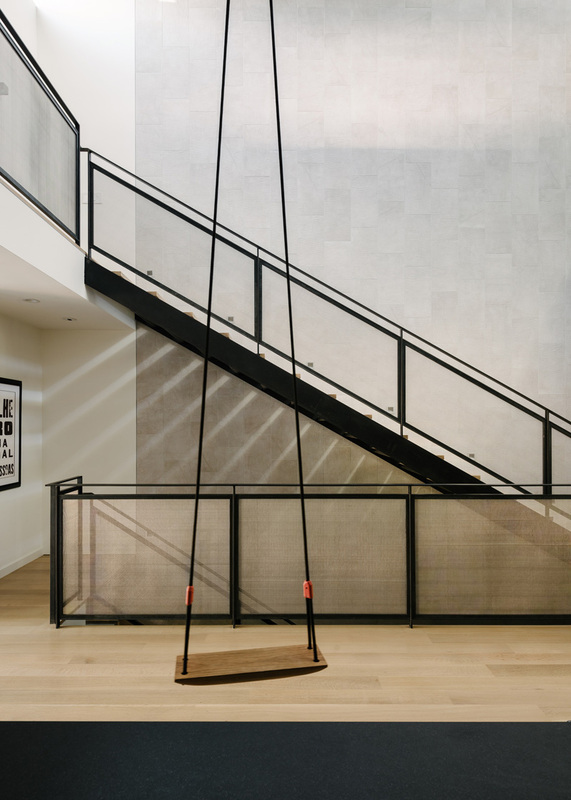 A rope swing, suspended at the atrium’s center, soars from the kitchen to the underside of the ‘pod,’ a floating office space that serves as an acoustically separate space from the action below. 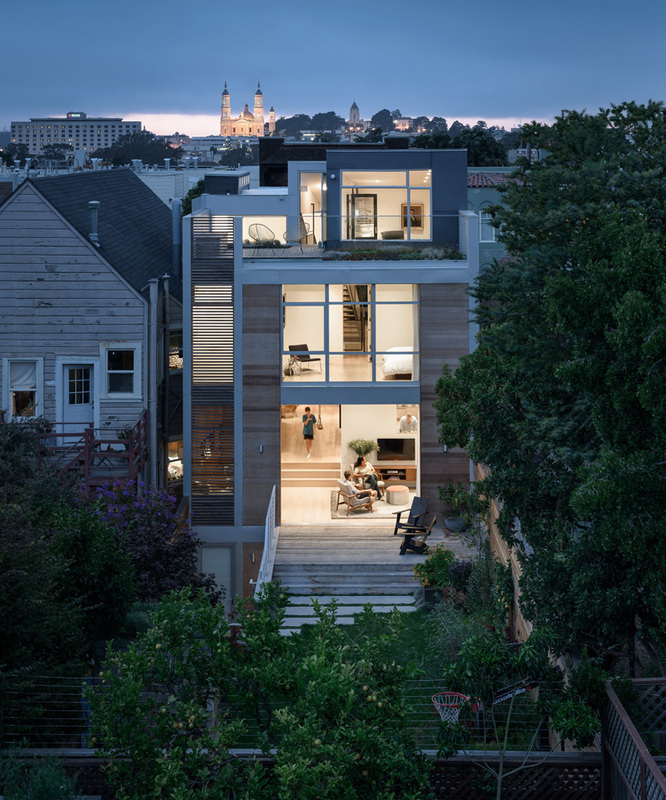 Here you can see the different levels of the home, and where the swing attaches to the stairs. 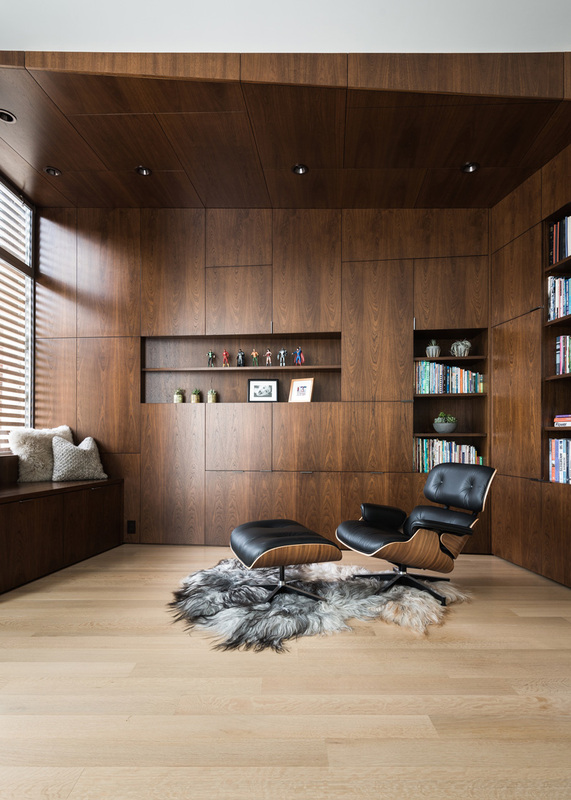 The reading room, covered in wood, with lots of natural light, is a quiet retreat. 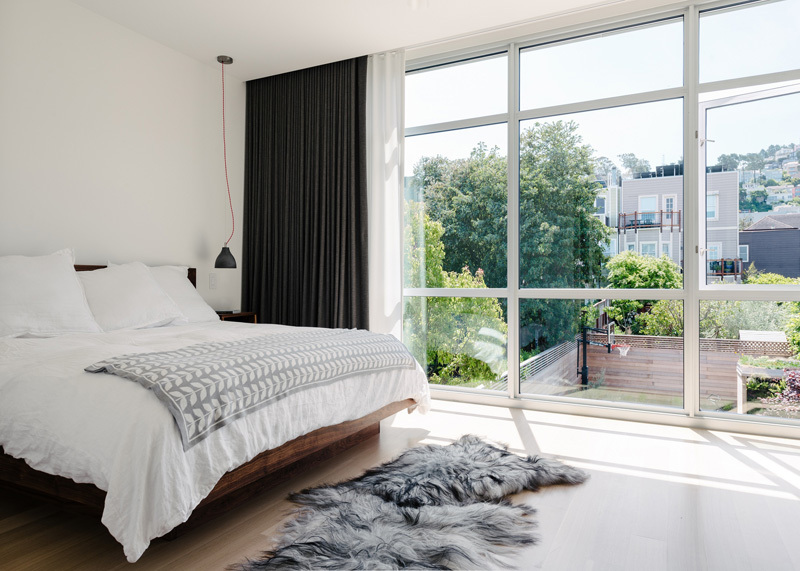 The bright white bedroom, features floor-to-ceiling windows, and views of the garden.